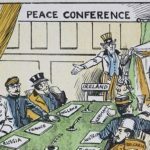 This website is dedicated to the programme of commemorations relating to the significant events in Irish history that took place between 1912 and 1922. 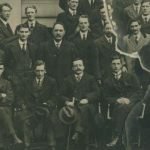 Use the links to navigate to areas of the website that provide details of the events that shaped Ireland in the early twentieth century, and to find out about the commemorative events taking place. You can also view information about the various organisations involved in the commemorative events. Links to external websites and online resources do not imply endorsement of content. What is the Decade of Centenaries? The period from 1912 to 1922 was one of the most eventful in Ireland’s history. From the campaign for Home Rule, through World War One and the Easter Rising of 1916 to the foundation of the Free State, this was a decade of great change. Campaigns for social reforms — highlighted by the suffrage movement and the 1913 Lockout, for example — also went hand in hand with political events. The Decade of Centenaries programme aims to commemorate each step that Ireland took between 1912 and 1922 in a tolerant, inclusive and respectful way. RTÉ Radio One’s History Show recently provided an overview of some of the websites that will be of interest to make sense of next years centenary of the Easter Rising (including this one! ): listen back to the discussion here.